Take a look at our wide range of temp Sensors! TEMP SENSORS There are 41 products. 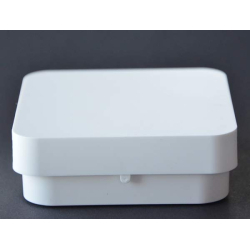 Indoor Sensor 3-wire Dallas DS18B20 temperature sensor suitable for a Logger 2020's 1-wire input (Terminals 1,2,3).Nice nested inside sensor/room sensor from which to measure the temperature in your house, garage or similar place, measuring range -35 to +85°C. 1-wire PRO Outdoor sensor Three-wire Dallas DS18B20 outdoor sensor suitable for Logger 3030 and Logger 2020's 1-wire inputs. (Can be used on both the parasite power and 3-wire terminals depending on how you connect it. )Solid enclosed outdoor sensor from which to measure the temperature outdoors, range -55 to +125 ° C.
PT1000 Indoor temp sensor Two-wire (or 3-wire) temperature sensors PT1000-standardSuitable for indoor measurements in the temperature range -35 to +70 ° C..Can replace Danfoss ESMT, ESM 10, ESM-11 and others sensors used in building automation. 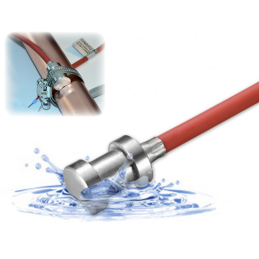 PT100 Room temp sensor Two-wire temperature sensor suitable for Logger 2020's high temp module HTMIQSuitable for indoor measurements in the temperature range -35 to +70 ° C.
Hose clamp for fastening Pipe wrap probe Fits Pipe wrap probe Dallas 1 PRO and PT1000 and PT100 Pipe wrap probe. 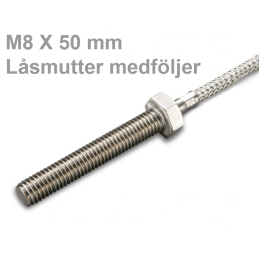 Takes pipes up to 100 mm diameter. PT100 sensor, max 200°C, 1 meter 6 X 50 mm 3-wire universal temperature sensor suitable for (among others) Logger 2020's high temp module HTMIQSuitable for measurement of all media that does not get more than 200°C hot. 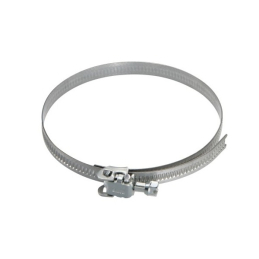 PT1000 3-wire tube surface sensor Sensor, affordable 3-wire PT1000B temperature sensor, 1 meter cable, with the sensor encapsulated in a 14 mm polished "prism" aluminium casing, max 200°C, IP68. Can replace Danfoss ESMC. 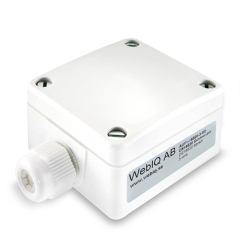 PT1000 Indoor temp sensor Suitable for indoor measurements in the temperature range -35 to +70 ° C..Can replace Danfoss ESM 10 and others PT1000-sensors used in building automation. 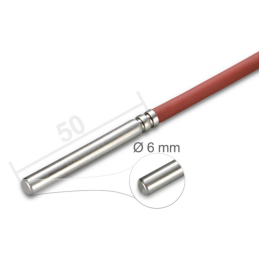 PT1000 sensor, max 200°C, 5 meter 6 X 50 mm 2-wire universal temperature sensor with 5 meter cable, suitable for Logger 2020's high temp module HTMIQSuitable for measurement of all media that does not get more than 200°C hot. PT1000 sensor, max 200°C, 3-wire, 10 meter 10 meter 3-wire 6 X 50 mm universal temperature sensor, suitable for Logger 2020's high temp module HTMIQSuitable for measurement of all media that does not get more than 200° C temp. PT100 High temp sensor, 1 meter cable -50 to +400°C 3-wire universal high temp temperature sensor suitable for Logger 2020's high temp module HTMIQSuitable for measurement of all media that does not get more than 400° C hot. PT100 sensor, max 200°C, 10 meter 6 X 50 mm 3-wire universal temperature sensor suitable for (among others) Logger 2020's high temp module HTMIQSuitable for measurement of all media that does not get more than 200°C hot. PT100 tube surface sensor, 3 meter Sensor, affordable PT100B temperature sensor, 3 meter cable, with the sensor encapsulated in a 14 mm polished "prism" aluminium casing, max 200°C, IP68. 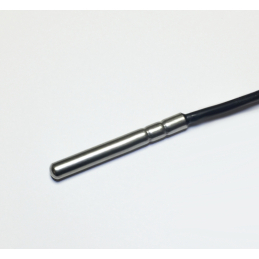 PT100 High temp sensor -50 to +400°C 2-wire universal high temp temperature sensor suitable for Logger 2020's high temp module HTMIQSuitable for measurement of all media that does not get more than 400° C hot. 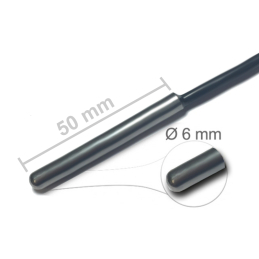 PT100 sensor, max 200°C, 3 meter 6 X 50 mm 3-wire universal temperature sensor.Suitable for measurement of all media that does not get more than 200°C hot. 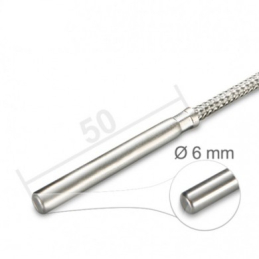 PT100 tube surface sensor, 10 meter Sensor, affordable PT100B temperature sensor, 10 meter 3-wire cable, with the sensor encapsulated in a 14 mm polished "prism" aluminium casing, max 200°C, IP68. 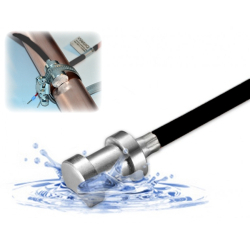 PT1000 sensor, max 200°C, 5 meter 6 X 50 mm 3-wire universal temperature sensor with 5 meter cable, suitable for Logger 2020's high temp module HTMIQSuitable for measurement of all media that does not get more than 200°C hot. PT100 sensor, max 200°C, 5 meter 6 X 50 mm 3-wire universal temperature sensor suitable for (among others) Logger 2020's high temp module HTMIQSuitable for measurement of all media that does not get more than 200°C hot.